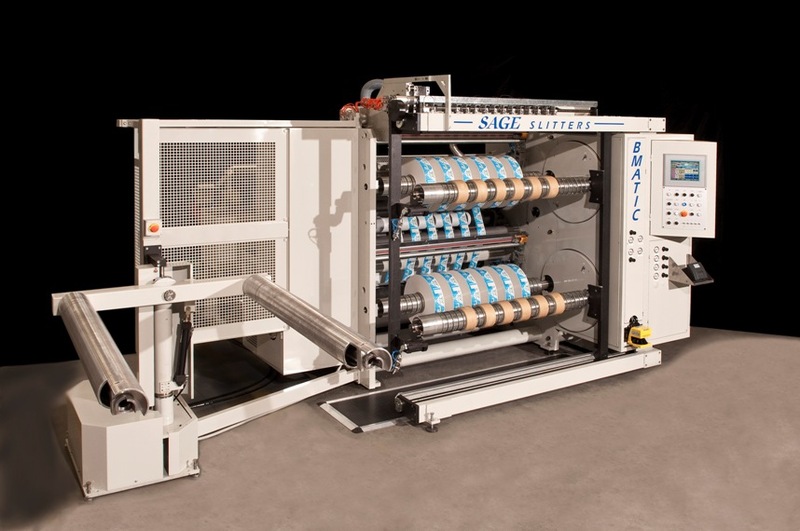 Twin turret slitter rewinder with automatic change. Differential shafts or expanding shafts rewinding. High performance machine. Laser lights for easy positioning of cores on shafts. No time lost for unloading finished reels. Extremely versatile, very usefull for big productions or fast windings of low lengths. Automatic positioning of knives on rquest.